Escape the cold, and come experience the meaning of Christmas, Blue Osa style. 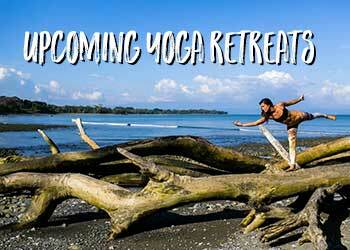 Christmas in Costa Rica, a yoga retreat at Blue Osa offers much more than retreats usually do. 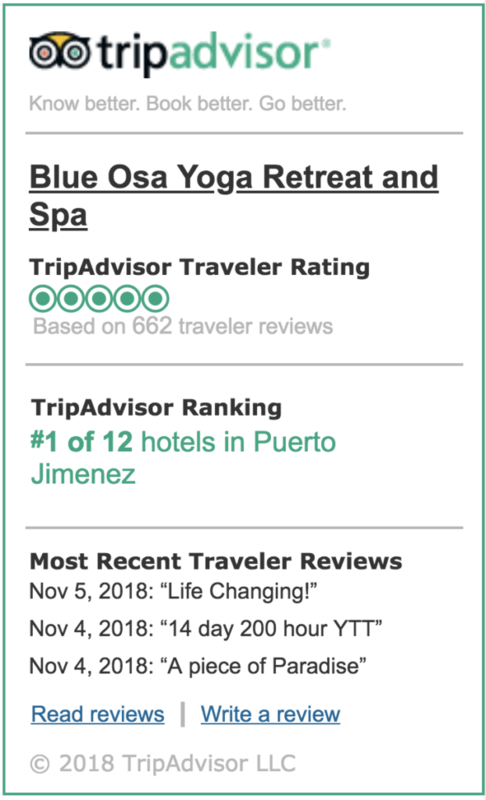 With one daily energizing yoga class in the morning and one healing gentle flow yoga class in the afternoon, you are going to leave Blue Osa clear-minded and focused, ready to take on 2020. In between the classes you can enjoy the beach and the turquoise ocean, swim in the pool, or take part in an adventurous jungle tour. The enchanting Blue Osa beach-front resort is situated in one of the most bio-diverse areas of not only Costa Rica but of the planet! Enjoy delicious, healthful farm to table meals. Swim in the ocean or chemical-free pool. Indulge in the spa. Tour the jungle, chocolate farm, or animal sanctuary. 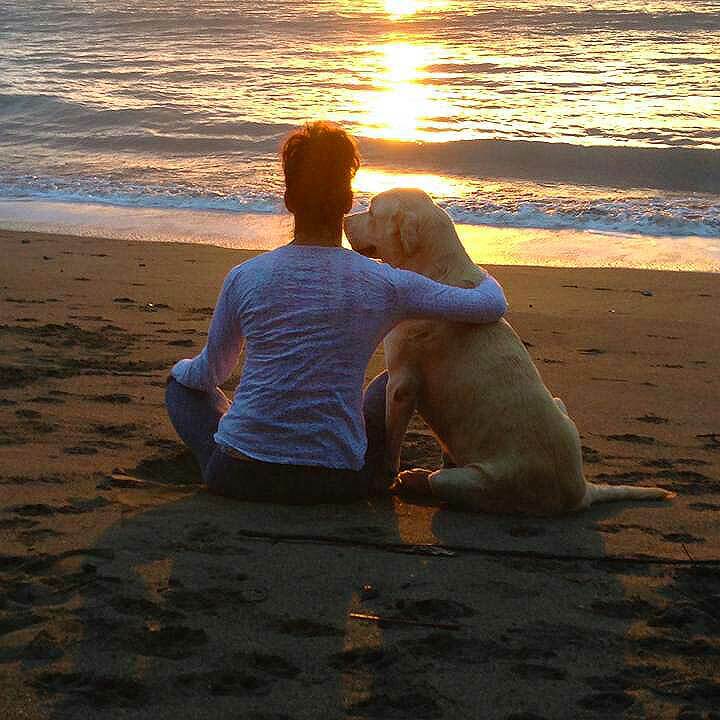 Give yourself a chance to reconnect and recharge. Every day, we serve the freshest farm-to-table meals at Blue Osa. Additionally, in the week you will be treated to an optional morning walk with our in-house guide. He will take you for an invigorating morning walk to see some of the wildlife waking up and the journey will end at our farm where you will get to see farm-to-table come to life. What makes Blue Osa a superior yoga center are the many yoga spaces you can encounter throughout the property: the Ganesh temple, the re-birth labyrinth, the Buddha statue, shrines and places to sit for quiet reflection. Central to the small yogic displays through the grounds, you will find our yoga deck. Surrounded by lush architectural gardens and the sounds of crashing waves, our elevated yoga deck is a stunning place to practice for a world-class sensory experience. Calming yet vibrant, serene yet energetic, there is no better place to unplug and connect than Blue Osa. While hatha yoga is at the core of what we do, we differentiate ourselves by offering a holistic approach to yoga that emphasizes function over form. We believe yoga should be tailored to the individual. The Blue Osa methodology has been influenced by multiple traditions, including Vinyasa, Iyengar and Anusara yoga. The following is a sample schedule of what might to expect. 5:00 – Coffee and tea is served. We practice morning silence until 7:30 and invite you to use this time to journal, meditate, or sit in the stillness of nature. We also have a self-guided meditation walk available. 5:45 – Cocktails, Wine or Natural Juices. One energizing yoga practice in the morning. One restorative yoga practice in the afternoon on selected days. Three Farm to Table Fresh Meals per day prepared by Blue Osa’s master chefs, including an early light breakfast, lunch, and dinner. Ground transportation shuttle service from Puerto Jimenez Airport to Blue Osa and Blue Osa to Puerto Jimenez on scheduled arrival and departure days only. $29 each way if arriving and departing on non-scheduled days. What’s Not Included? Incidentals, items from the Blue Osa store, gratuities, flights, massages, and specialized excursions and adventures. The airport shuttle is ONLY included on the day the retreat begins and ends. If you arrive or depart on another day, the fee is $29. Blue Osa Cancellation and Refund Policy: All fees paid for workshops and retreats are non-transferable and non-refundable. In paying for a workshop, you agree to these terms.